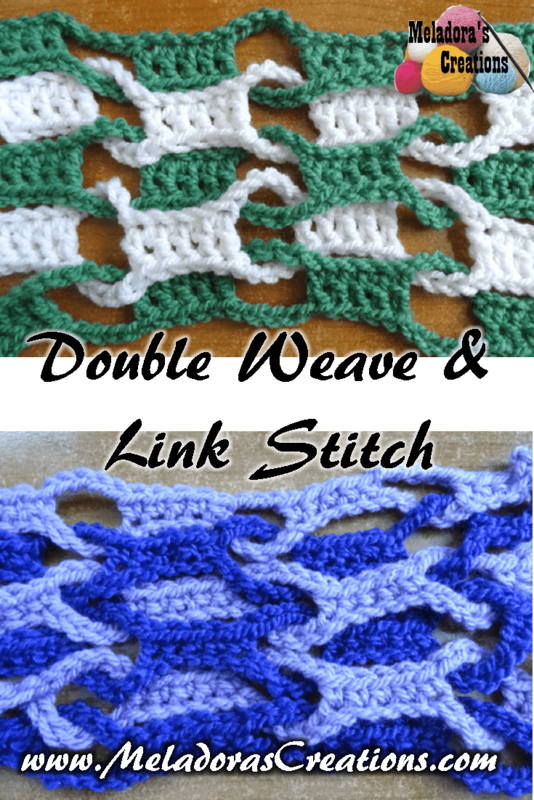 This Free Crochet pattern teaches how to do the double link and weave stitch. 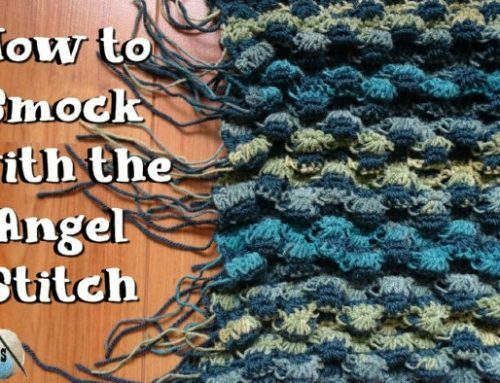 Make it with single crochets to make a warmer stitch or use Double crochets to make a lacy stitch. 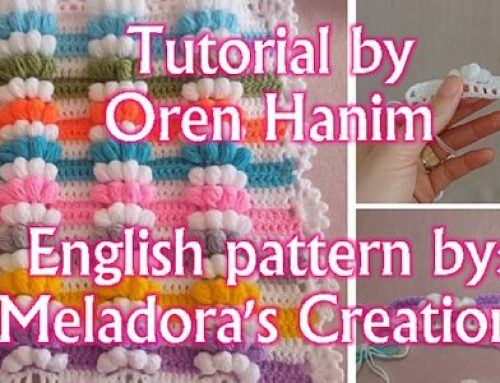 If you like this pattern and tutorial, you should check out Single Weave and Link Stitch as well. dc in the 3rd ch from the hook, dc into next 4 sts. * Ch 5, skip 5, dc in next 5 sts * repeat until end of row. 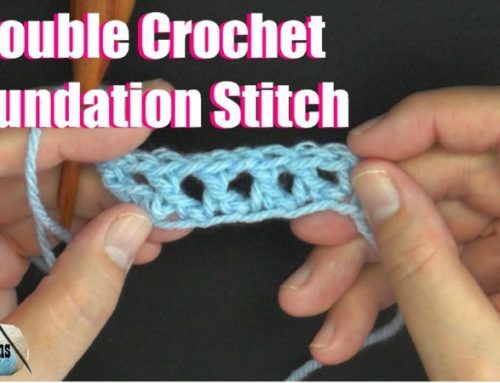 You should end with 5 double crochets. 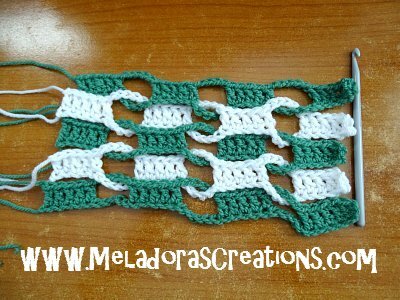 Grab your next color and chain the same multiples you used before. If you chained 257, then do so again with the new color. dc 3rd ch from the hook, dc into next 5 sts. * Ch 5, weave your chain from the back and through the front the next 2 ch 5 spaces on previous row, skip 5 sts and dc in the next 5 sts, skip 5 sts and dc in the next 5 sts. * repeat until end of row. 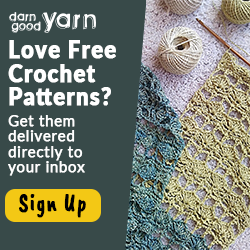 You should end with 5 double crochets. 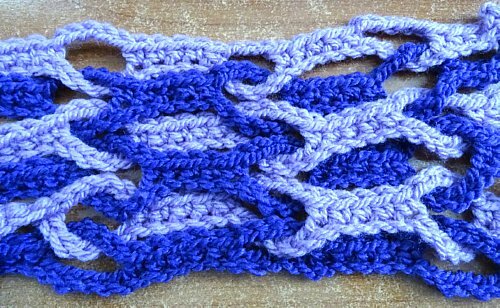 Repeat row 2 until desired size is reached. This is what it looks like after 5 rows and I put my hook down so you could better gauge the size.